Thanks to Elizabeth and Erin for their posts on this fun topic already. I feel the need to reverse the typical countdown order for this particular Top 3 list to start with my favorite princess, possibly because I knew her first. 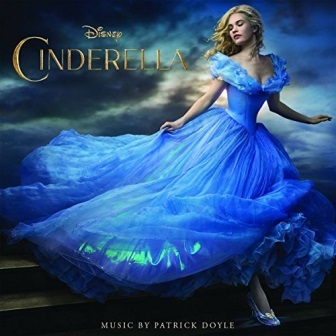 It's hard for me to say exactly why I adore and have always adored the character and story of Cinderella. My favorite adaptations (Disney's, Rodgers and Hammerstein's, and Ever After) each have unique, enchanting qualities that make me fall in love with the story and believe in its messages that dreams come true, magic exists, and fairy godmothers watch over us. Cinderella appreciates what she has, whether it's her friends, her own little corner, or her family's home; yet she hopes for love and takes action when she's given an opportunity. Here is a really great twitter post featuring some additional meaning behind Cinderella that I could not say better. Strength truly comes in many forms. I have to also admit that part of the appeal of her story, for me, has to do with the fascinating settings, which tend to be in old-fashioned homes and really cool castles! okay (the inner child, perhaps), and one mourning its own innocence. 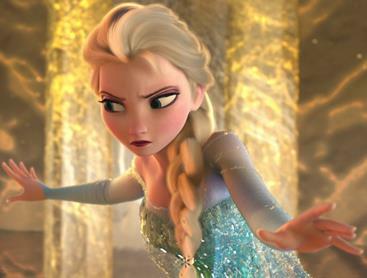 Elsa can live with the ice--can even let it consume her--while Anna cannot live with it in her heart. It's against her very nature. 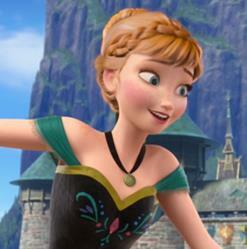 Anna can only survive when the fear and defenses are extinguished, melted by love. We can all probably relate to both of these characters, perhaps one more than the other, and may at times need to fight to remember the Anna within us--who brings us back to ourselves, to love, and the importance of just stopping to build a snowman. Which princesses or heroines do you identify with most, or find most fascinating? Awww. . . My daughter is home with an ear infection and we just watched Frozen again. . .I love the way you explain the difference between Elsa and Anna. I hadn't thought about them in these terms. Thanks! Great analysts! I love the way you dive deeper into the princesses' personalities. It is easy to generalize "princesses," but these truly are some deep, strong heroines. I also am a fan of Ever After, which is saying a lot since I am not a fan of romance at all... But the baroness and her daughters were just too good. I love the scene where Danielle punches Margerite and chases her through the house in a fit of (very justified) rage. Also, great images of Elsa and Anna. :) Thanks! Lol, it's perfectly fine ;) It just means we both have great taste! And great choices, Laura. I love the characters from Frozen too. And the new Cinderella movie was so sweet! Great minds, lol. ;) I agree the new Cinderella movie is amazingly sweet.